Jewelry is one of the most delicate and amusing piece of accessory and many of us despite knowing that we might lose the beautiful artistic piece does the same thing to the piece over and over again. These jewelries are usually so sentimental that we are tempted to wear it all the time, whether it is a necklace you received as a child or your engagement ring. Engagement rings are the most common offenders on this list and in this case it is because by default they are worn every day! Even though they are worn each day, it doesn't mean you have to wear them ALL the time. Yes. That does not mean one has to wear the diamonds each and every day, you can avoid wearing such precious stones for someday. You know how delicate and amusing these pieces are and I am sure you do not want to lose them at any cost because they themselves are quite expensive. 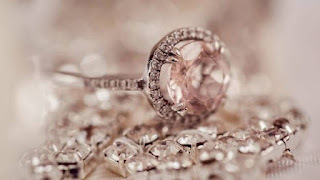 So, in case you want to protect your jewelry and take no chance of losing it then you might have to take certain precautions. Showering yourself wearing that jewelry can harm your jewelry and the shine and opulence quality of the jewelry. You should not wear your jewelry all the time, but also you should most definitely never wear your jewelry when swimming or showering. Water is a natural abrasive. Think of the rivers that over time have carved their way through canyons of stone. Overtime the same thing happens with your gold and other metals. Showering won't wear down your gold as quickly as chlorine or salt water, but it is best to use caution around any liquids. 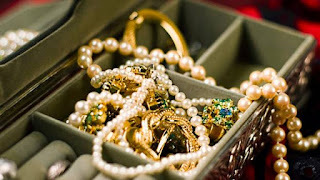 Never wear your jewelry when you are cleaning your dishes or other antiques, this may leave a never recovering harm on your ring or jewelry. So, always keep in mind that you do not have to wear your jewelry while sleeping, washing dishes, painting, working with your hands, wearing latex gloves. Use your best judgment on this but if in doubt take your jewelry off. Just keep scrolling to learn about the importance of where you want to store and how you can protect your jewelry! Never keep your fine jewelry open, if it is left open there are chances that you might misplace the jewelry. Your jewelry storage spot should be in an inconspicuous and safe location. Unfortunately if you get robbed by a very skilled individual, there is little you can do to protect your investment, so it is always important to have jewelry insurance to help protect you in the event of theft. You can consider these suggestion if you do not want to ruin your jewelry or make it look old, grab the opportunity to keep certain things in mind like every morning before putting on your diamond or gold jewelry, you should check that all the stones are tight. This can be done by using your fingernail or a small pin to try and move around the stone. If any are loose, don't wear the piece and bring it to your jeweler for repair as soon as possible!